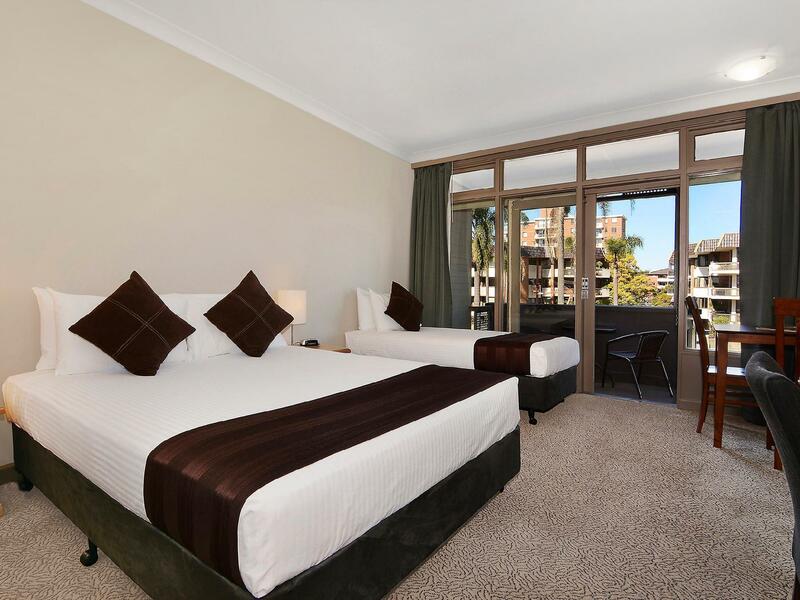 Ada pertanyaan untuk Waters Edge Port Macquarie Hotel? 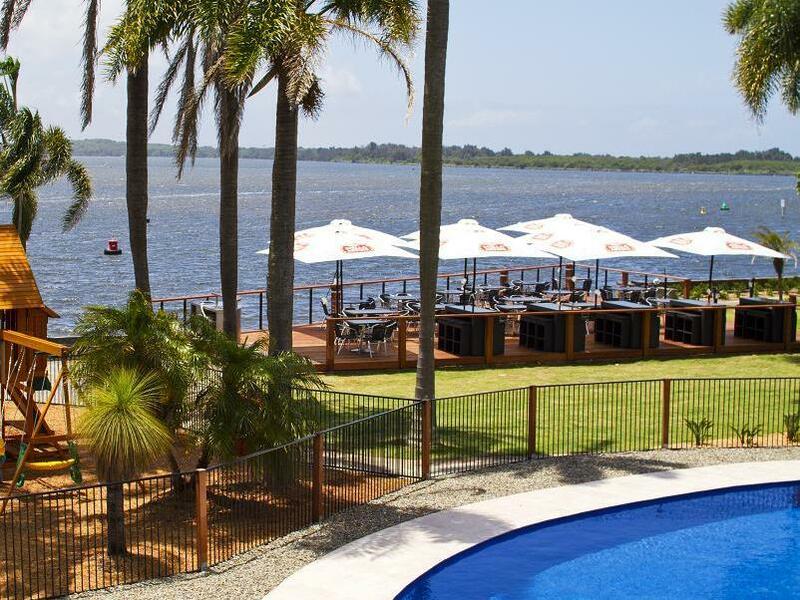 Direnovasi pada tahun 2011, Waters Edge Port Macquarie Hotel menjamin pengalaman menginap yang menyenangkan bagi para tamu di Port Macquarie, baik untuk tujuan bisnis maupun plesir. Dari sini, para tamu dapat menikmati akses mudah ke semua hal yang dimiliki oleh kota yang aktif ini. Dengan lokasi obyek wisata utama di kota ini yang sangat dekat seperti Kayak Tours, MV Wentworth, Port Macquarie Cruise Adventures, tamu akan sangat menyukai properti ini. 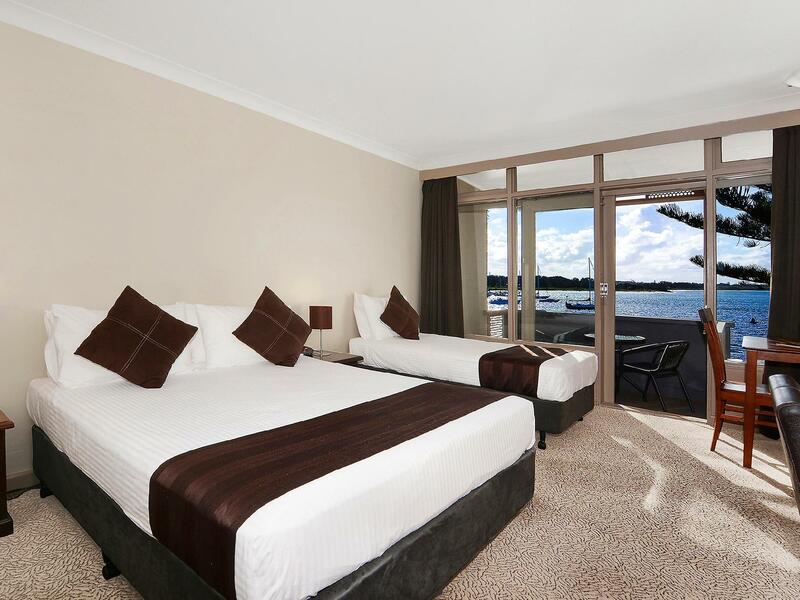 Waters Edge Port Macquarie Hotel juga menawarkan berbagai fasilitas untuk memaksimalkan pengalaman menginap Anda di Port Macquarie. Ketika menginap di properti yang luar biasa ini, para tamu dapat menikmati WiFi gratis di semua kamar, check-in/check-out cepat, penyimpanan barang, Wi-fi di tempat umum, tempat parkir mobil. Masukilah salah satu dari 61 kamar yang menggoda di sini dan lepaskan rasa penat Anda dengan sejumlah fasilitas yang tersedia seperti televisi layar datar, lantai karpet, pendeteksi asap, akses internet WiFi (gratis), kamar bebas asap rokok. Fasilitas hiburan properti ini seperti lapangan golf (sekitar 3 km), kolam renang luar ruangan, spa, taman bermain anak, kolam renang anak dirancang untuk bersantai. Temukan perpaduan menarik dari pelayanan profesional dan sejumlah fasilitas yang ada di Waters Edge Port Macquarie Hotel. Jam operasional resepsionis adalah Senin hingga Sabtu pukul 06:30 - 21:30, Minggu pukul 07:00 - 20:00. We were recommended this hotel by more than one friend and they were right. The hotel is in a great location; the rooms are lovely. We sat on our balcony looking out across the river, watching the dolphins. My family and I stayed for 2 nights in ‘the Apartment’ and I stayed an extra night in a standard room. I arrived from The Southern Highlands (71/2 hour journey) before the rest of my group and after using the bathroom in the apartment I could not find any soap to wash my hands...I was told by reception that they don’t supply soap for the apartment as you are meant to bring your own!!!...really! !..in al my domestic and international travels I have never known a hotel/motel that doesn’t supply at least a guest soap. The lady on reception also told me that it was a 3 minute drive or you could walk to buy soap!!... consequently this soured my experience of Waters Edge . This motel is our all time favourite. Return visit and still our favourite place to stay in Port Macquarie. Without exception the staff were brilliant. All so friendly and obliging. Domestic staff were very competent and approachable. View from room was amazing and a most comfortable king size bed. We will definitely be booking for our next visit. Lovely motel, staff were very helpful, room was clean and had everything we needed. Great view over pool and lake. Very well located, close to shops and restaurants. Bathroom could do with an update, quite a bit of rust. Other than that very pleasant stay. Being on a 3 week travelling adventure and staying many places; this was quite expensive for what you got. No lift to upper levels. Neat & Clean, granted, but aged. Was ignored at reception on two occasions whilst staff were on phones. It’s polite to make eye contact ad acknowledge - even when on phone. Location is great and nice view from room. Though was raining prior to our arrival and balcony was full of water - no drainage. My o'night stay was great, even the hotel is older, it has a great feel and very comfy mattress - just what you need after a long day on the road. I feel it deserves more than 3 stars compared to other hotels I have visited + the staff were friendly and professional. The hotel itself is good. We had a room with a spectacular view of the warf. Beautiful sunrise and sunset view. The hotel room itself was good, it was not the best hotel, but it was not the worst, however it was my favorite hotel viewpoint. I would stay here again. Staying for the week, we found ourselves enjoying the room in the afternoons for movies and just relaxing. Nice and quiet location and not being in the centre of town was a good thing for us. Being next to the club was a bonus. Great view of the pool and lake, having great weather really helped to. Staff were accommodating and always friendly, really couldn't fault them. Which ever housemaid went the extra mile with the towels needs a payrise.... Thanks Waters Edge well done. Stayed here traveling through from Brisbane Tom melbourne. They were really flexible when we had to check in late. Room was comfortable, clean and the water pressure in the shower was my highlight. Definetly recommend this for people travelling trough or visiting Port. We ordered coffees at the bar near reception & it seemed just all too much trouble for the staff member taking our order. When I asked for sugar for my coffee I was astounded when he actually rolled his eyes!! I have never experienced such blatant rudeness from a staff member in the "hospitality" industry. Next time we are passing through Port MacQuarie we won't be staying here. Apart from the rude staff the room was quite rough around the edges, just old & tired. Value for money! Well located, great views! Have stayed here before and highly recommend the units facing the street with better insulation between adjoining units. Water’s edge has stunning views over the river and yet is only a short walk from the centre of town. It was great value for money, especially the $15 breakfast offer. Great location! The hotel rooms could use a remodel as they are getting a bit tired.